Attend the CWRU info session on Jan 24 @ 5:30pm in the Career Center. Summer on the Cuyahoga is a unique summer immersion experience. World-renowned, the program places both local and international applicants into 9-week positions with leading employers in greater Cleveland (private, nonprofit, and public). Each cohort lives together in and works together. 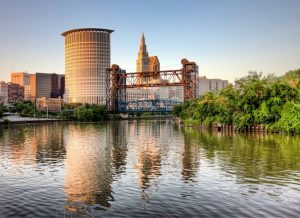 Recent positions include JumpStart, KeyBank, and the Cleveland Museum of Natural History. Click here for more details.